What Is A Birth Natal Chart? — OK, I'll Give You My Opinion! I don’t know about you, but I am super into astrology! I've always been fascinated with it since I was a kid, and as I continue to delve deeper into my personal horoscope it's always pretty accurate and makes me want to learn more! I recently had a Birth Natal Chart done by Ron Ray, my personal Spiritual Counselor for over a decade. I encourage you to visit his site ronraycolombo.com and learn more about his journey and the spiritual services he provides. I have benefited tremendously throughout the years from his spiritual insight and guidance. 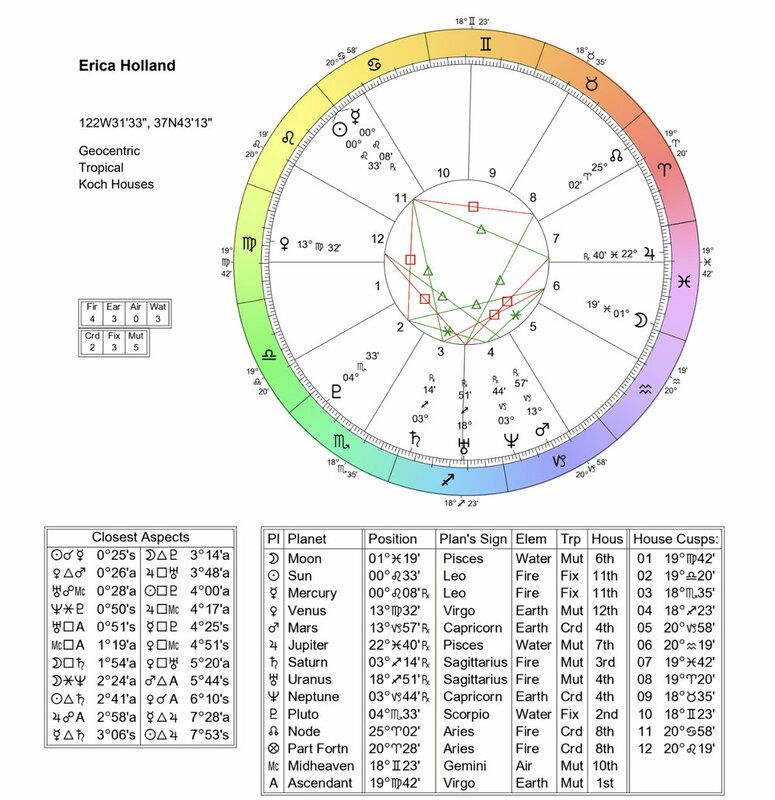 What is a Birth Natal Chart? A birth chart or a natal chart is not your ordinary daily horoscope guys! It's an astrological chart that is calculated at the exact time of a person’s birth, the natal chart gives insight into a person’s character by analyzing the position of the planets and the astrological houses during the time of birth along with the person’s astrological sign. This report guides you on an inward tour, uncovering the personal talents, skills, and potentials that are uniquely yours. The Natal chart is your roadmap for this lifetime. (ronraycolombo.com) In laymen's terms, it’s a really in-depth astrological interpretation personalized and unique to only you! A natal chart is essentially a photograph of the universe at the exact time you entered this world. If used correctly, astrology can be a useful tool that can help illuminate the path to your highest potential. It highlights the timing of personal transformations, growth, and development. It can help you weed out aspects of your personality based on nature versus nurture, so you can identify the root of why you are the way that you are. A natal chart consists of 12 Houses associated with each zodiac sign. This aspect of a natal chart remains constant. Below is a graphic of these 12 Houses and a brief description of their traits. An astrologer can interpret your chart based on where the planets were in specific signs and Houses at the exact time of your birth. For instance, the Second House is concerned with personal possessions, specifically money, and your reactions and relationships with these possessions. My Second House broken down, basically means that I always acquire what I need and want, but never “over doing it”. I’m always looking for unconventional sources of income because, well let’s face it, I’m extremely unconventional compared to mainstream societal norms. For example, I haven’t had what one would call a “real job” in almost 5 years, yet I’ve managed to maintain a household, move my family into a bigger house, add two unexpected family members, upgraded our computers and technology equipment for our small business, and we just bought a new car for Christmas last year! Pluto in my Second House aides me in my inherit business minded abilities. Planets in your houses act as an amplifier for certain traits. The two-faced aspect described in this house is related to my need to always "grind down the deal” to put it simply. I know, and have the abilities to navigate my way to getting what I want, but my methods and/or patterns I’ve used may be causing me unnecessary stress and resistance to the goal I’m going to ultimately achieve anyway. Why make it harder for myself right? I like to say I pride myself on being a bargain shopper. If there’s something I really want verses something I might need, I’ll spends hours or maybe even days searching or waiting for the best deal, to ultimately only save a few bucks. The end game is always the same. I end up getting what I want, but through my natal chart, what I was able to uncover are the tendencies and reactions I have to obtaining these possessions. During my private interpretation session, Ron Ray was able to uncover an aspect of my childhood programming that has been hindering my abilities to receive the money and possessions I truly desire. Growing up, my mother would always snark at people who indulged themselves or splurged on expensive things. The idea of “treating yourself” was reserved for the self centered people, or for a very rare special occasion. It caused me to internally battle over mundane purchases, and have “buyers guilt” after I would purchase something I really wanted. Essentially my programming as a child brought me to believe subconsciously that there’s a lack of money, and that I didn’t deserve expensive things or that it was shameful to spend money on expensive things (unless it was on sale of course! ), and I’m sure there’s a bill I could be putting that money towards. I was brought up to believe you had to work really really hard, doing things I probably won’t necessarily enjoy to get the money for the things I wanted. Which is true to a degree, but I believe if you do what you love, and you’re passionate about it, the money will follow. There’s no blood shed and tears from my perspective. I feel like my mother is somewhat dumbfounded by myself and my partner’s ability to earn money in such a laxed way, it makes her head spin! So in spite of my unconventional and carefree philosophy to obtaining possessions (money), I often make decisions based off of my upbringing. I felt like I knew this already, but seeing it in my chart, and having it further confirmed during my interpretation session, it was eye opening and liberating. I’m now aware of why I may make certain decisions, so when I start to feel guilty or conflicted over money and business decisions, I can take a step back, and ask myself, where is this coming from? Am I having these feelings because I don’t really need to spend $200 on this beautiful bedding that I really want, or am I having these feelings because I know my mom would snark at me, and go on to explain how she has purchased several great bedding sets from Ross or Marshals for a quarter of the price!? Well I just answered my own question didn’t I, and I am going to buy the bedding that I really want because I am worthy and deserving of what I want, and I have the ability to purchase it. We get exactly what we think we deserve out of life! I use this House as an example because we all want to know how we can improve our relationship with money right?! And although the initial interpretation of my Second House appears favorable and promising, it was describing my experience without any outside (environmental) factors, like my upbringing and my parents' upbringing and their characteristics. Ron Ray has the ability to tune into your personal experiences that could have created roadblocks or stepping stones in various areas of you life. And I’m just scratching the surface guys! I feel like it was important to get a little personal because I wanted to stress the priceless insight my personalized natal chart has brought for me. I could go on and on about the Second House alone, and there’s 11 more to get through! 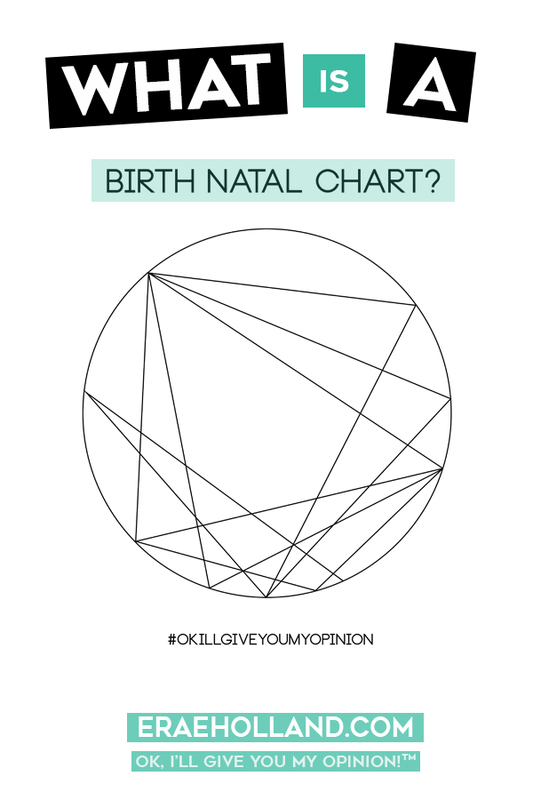 In a nutshell, Birth Natal Charts serve as a comprehensive map of your life and help you gain personal knowledge along your journey to living your best life. Are you excited yet?! Ron Ray is running a limited time special for 25% off all Advanced Astro Natal Charts when you use promo code "Erica25" at checkout through 5/12/2018!! That includes a 35-40 page detailed report that takes astrology to a whole new level. I hope I've peaked your interest, and you're ready to learn more! Please leave any questions, comments, and personal experiences below. I'd love to hear about them! Also, make sure to subscribe to my mailing list so you don't miss out on any future giveaways and discounts from Ron Ray!